Young Sparky meets Mr and Mrs Electric. There is a tiny group of people in the magic world that just make you feel better just by knowing them. Right at the top of this select list of truly special people were Marvyn and Carol Roy. 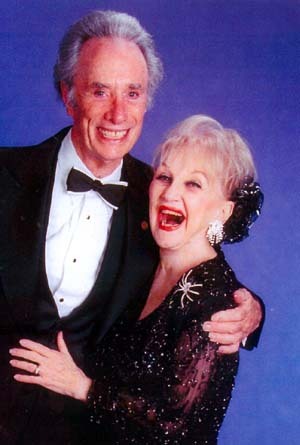 I really don’t believe you could find two nicer people and better ambassadors for magic than Mr. & Mrs. Electric. My earliest memories of seeing this dynamic duo was watching them on the family television set when I was a kid growing up in England. 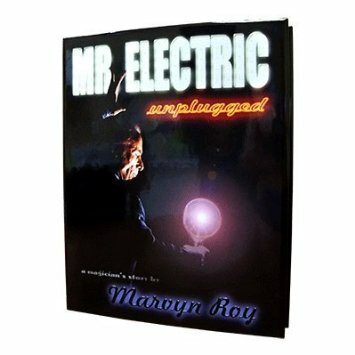 As a budding magician I remember watching in amazement at that seemingly never-ending string of lit bulbs emerged from Marvyn’s mouth. It was one of the coolest pieces of magic I had ever seen. Years later my very first club date in America was at the Elks club in Long Beach, California. This particular booking coup was a stroke of good luck that was going to add a whole eighty bucks to my worldly wealth. I was very excited and ready to take the ‘Elks’ by storm. The day of the show arrived and after a one-hour drive to the city of Long Beach I made myself known to the powers that be when I arrived at the club. I was directed backstage to meet up with the other acts on that evening’s bill. It is astounding how often the bookers for these kinds of organization make irrational decisions as they go about their duties. This particular booking, however, was in a class of it’s own. The entertainment committee had determined that four acts would be an appropriate line-up to entertain the members for this particular event. The booker had then inexplicably decided that the perfect selection for the occasion would be two magic acts and two jugglers. Furthermore the committee had determined that the ideal running order would be to have the two magic acts perform in the first half of the show and after a brief break, to conclude the event with the two jugglers. Maybe they were drinking too much and instead of seeing double they were thinking double. Of course, there is no payment for the job of booking entertainment at a service club and perhaps it is bookings like this that are the reason. 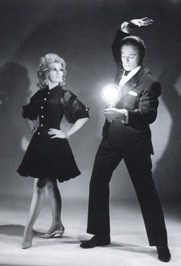 Upon arriving in the dressing room I discovered that my fellow magic act to be featured on the bill was none other than the iconic Mr. Electric and Carol. I was very impressed and also somewhat astounded when Marvyn (for that is indeed Mr. Electric’s first name) suggested that he opened the bill and leave me to close the first half. I giddily felt my stock in the magic world must be on the rise. Hmmmmmm. To cut a painful story short, Marvyn and Carol opened the show with a dynamic set that featured brilliantly constructed and highly customized versions of every single trick I was about to perform. 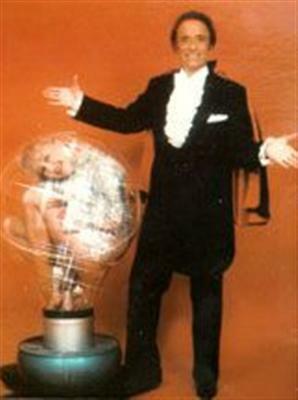 These routines were all carefully adapted to the electrical theme of their show. My heart sank into my boots as I watched them. Marvyn and Carol destroyed the audience with their performance. I followed and while I didn’t die on stage I was certainly quite sick! 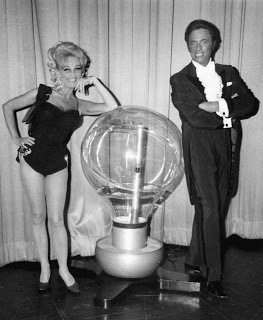 I did the floating ball; Marvyn had floated a lit light bulb. I cut and restored a rope while he cut and restored an electric cord; attached to a line of light bulbs. I performed my ‘electric chair’ and Marvyn did the Electric Chair! It was truly a nightmare for a young magician who lacked the ability to substitute anything much in his act. After the show we went to grab a late night meal at a local ‘Bob’s Big Boy.’ Nothing in my magical experience had prepared me for the pure adrenalin rush of a post-show Marvyn Roy. His enthusiasm and expertise were all focused on helping this newcomer to see a vision and future for his show. It was a delightful avalanche of advice and magical wisdom. Marvyn was very kind and he especially praised my version of the classic Chinese Linking Rings. Possibly this was because it was the only trick from the Electric’s show that I hadn’t duplicated. In fact, in what I later discovered was pure Marvyn he planned an entire act for me based on the theme of linking things together. The first thing that must be done was to change my name to Link Lewin. “What you should do,” said Marvyn, warming to his theme, is purchase the Himber Ring Trick. This amazing piece of magic would allow me to link genuine finger rings borrowed from the digits of audience members. The very next day I drove into Hollywood to Joe Berg’s magic store and made a fifty dollars deposit on the prop needed to accomplish this very trick. Thank you Marvyn, it was the best investment I have ever made in magic. Every magician needs one special trick to make his own and thanks to Mr. Electric I had found mine. I recently read the wonderful memoir that Marvyn penned called ‘Mr. Electric: Unplugged.’ I can’t say enough about what an inspiring and enjoyable book this is. Not many magic books grab your interest and hold your attention like this one. This book is so good that you begin reading at a feverish pace, until you realize you are half way through it and then you slow down so as to treasure every story. Thank you Mike Caveney for publishing this gem. Sadly Carol is no longer with us but Marvyn is still very much part of our magic community affecting youngsters with his generosity and knowledge. ~ by Nick Lewin on June 14, 2016.